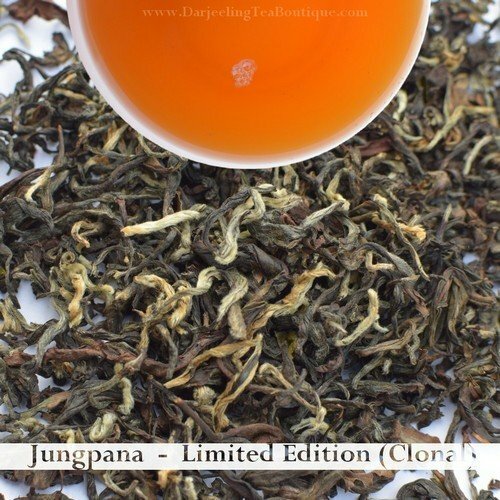 Appearance: Tea leaves of this limited edition autumnal from the world famous Jungpana gardens are fragrant, fuller in size comprising of the golden tipped buds. Colour is a mixture of light and dark chocolaty brown delicately rolled, perfectly roasted, and has a natural floral notes of the Himalayas. Fragrance: Fragrance of natural citrus and floral notes of the Himalayan orchids are dominant in the liquor which lingers for a while after the sip. Flavour: Floral fragrance is dominant along with taste of citrus fruits which is characteristic of autumn season. A pleasant smooth tasting liquor which leaves a sweet floral sensation in the palate. A faint floral aroma typical of the autumn season is noted as an aftertaste.